Listen to "Celebrated Travels and Travellers, vol.1" on your iOS and Android device. The famous writer of great adventure stories Jules Verne wrote also several lesser known, but good non-fiction works. 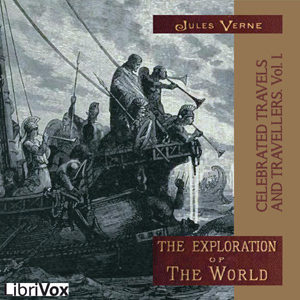 "Celebrated travels and travellers" tells the story of geographical discovery in the same well written and precise manner we are used to finding in Verne’s fiction books. This book is divided into 3 volumes. This is the first volume, named the "Exploration of the World" and it covers the period in the World's history of exploration from B.C. 505 to the close of the 17th century. The second and third volumes are respectively entitled "The great navigators of the 18th century" and "The great navigators of the 19th century".